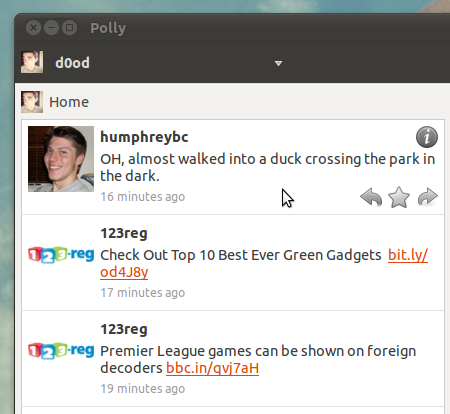 New Pre-Alpha of Twitter App Polly Available - OMG! Ubuntu! Polly, which was named by OMG! Ubuntu! 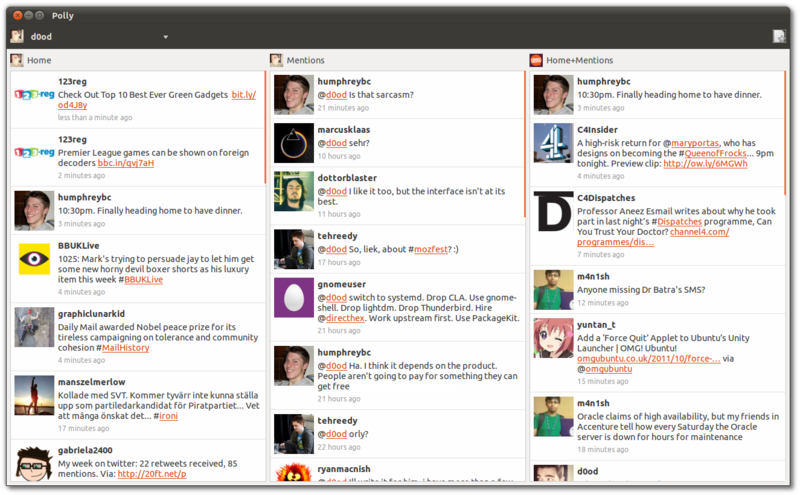 readers, is one of the more capable Twitter clients around for Linux despite the apps’ ‘Pre-Alpha’ badge. One of my favourite ‘features’ of Polly is that ‘Retweet/Fave/Reply’ buttons are hidden by default; one just needs to hover over a tweet to reveal them. To answer the title above: you shouldn’t.�Polly is in active development and should not be considered stable. Only those with�insatiable�appetites for the latest bleeding edge apps should attempt to install it. After adding the above PPA to Software Sources, update, search for and then install ‘Polly‘ from the Ubuntu Software Centre.